ASK.BI is a unique BI Solution, which enables Google-like speed of thought search capabilities - whether Standalone or Add-On. At the end of the day, business intelligence is about answering business questions - anytime, anywhere on any connected device. Innovative and intuitive, easy to use - works just like Googling the World Wide Web. Search-field (Google-like) query analytics enable access to data on any device by just entering keywords instead of time consuming data mining, report creation or ordering analysis. ASK.BI can connect to almost any OLAP server that has standard XMLA connection support. 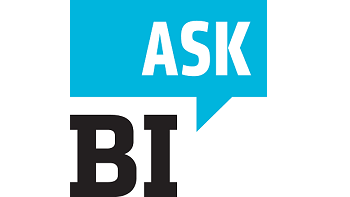 Don't BI, Just ASK.BI: ASK.BI enables “Google like” speed of thought search capabilities. It can be standalone or just an AddOn to their existing BI solution which runs on Microsoft, Infor, Oracle, SAP or open source Pentaho … etc. OLAP Ready - via XMLA: Runs with Microsoft SSAS, Infor, Oracle, SAP or open source Pentaho Mondrian OLAP server. ASK.BI: Self-service: Question: Do you know how to Google the web? Answer: Then you know how to use ASK.BI. Cloud, On-Premise: Runs on Linux, Windows … it is Cloud-Ready and it has WEB, Mobile and DESKTOP client or can be just integrated as a service via powerful REST API. Preserve your current BI investment: ASK.BI can connect to almost any OLAP server that has standard XMLA connection support. Provided by Research.Evolution - ResEvo d.o.o.